What’s Driving the Rise in High School Graduation Rates? Much of the news that circulates regarding the state of education is not positive, but one trend that remains underreported is the significant rise in public high school graduation rates during the past decade. 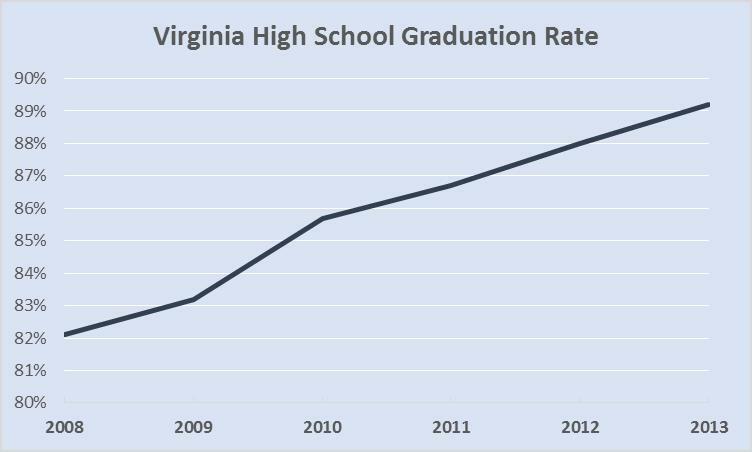 By the end of this month, around 85,000 high school seniors are expected to have graduated from Virginia’s public schools.That is nearly 8,000 more than would have been expected to graduate just a few years ago.